Before you race out to the shops, you will need to plan your cake and decide on what you would like the finished masterpiece to look like. In cake decorating, planning is key to making a professional cake. how many people you’re feeding? will the cake act as dessert or will it just be served with coffee? do you want more than one flavor of cake? smooth fondant icing or fluffy frosting? the theme of the party and the recipient’s tastes. Start with the size you are aiming for and work from there. For example, if you would like to make a “round the world” cake and you have a spherical cake in mind, if you have a party of 40 people you need to serve, you may need to sit the sphere on top of a large square cake or make it the topper of a 2 tier cake. Incorporate the whole design into your plan. Draw a rough sketch of what you would like the cake to look like including colors of each item. Keep in mind you abilities and experience. If it is your first attempt, single tier is the easiest option to master, and cookie cutters and simple 2D shapes are the most simple decorations to use. If you are feeling brave, you may be able to sculpt a 3D figurine or free hand shapes. I recommend checking out my product review section to help in selecting the right cake decorating supplies for your situation. Also, why not sign up on the right to get my free guide “Best Kept Secrets Of The Cake Decorating Pro’s”. In it you’ll discover some of the little known tricks to help you achieve a professional looking cake. 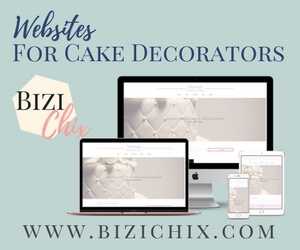 You’ll also be notified of any updates or useful information on the world of cake decorating. Download it now on the right!